I was recently asked to take part in a challenge from Toni and Guy called "What's your Hair Personality?" To find the best hair tools for your signature style or to encourage you to experiment with hair styles! There are four collections to choose from, Classic, Casual, Creative and Glamorous. I chose the Reverse Conical Wand from the Casual collection, it seemed the perfect tool for me, I could create natural messy curls or waves! I prefer my hair to look casual, I'm not a huge fan my hair looking too neat, when it was my school prom I hated my hair as it was all perfect and in place but for me, it wasn't what I wanted! All I wanted a really messy fishtail plait! 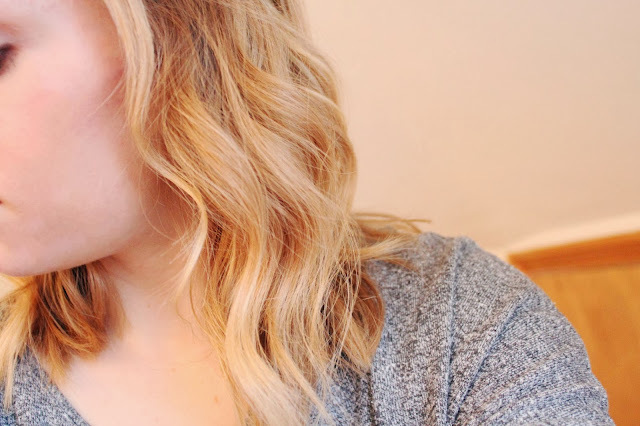 The wand itself is unlike any other hair curler I have tried, as you can see, the end of it is slightly thicker which I found odd at first but it creates a really natural curl! 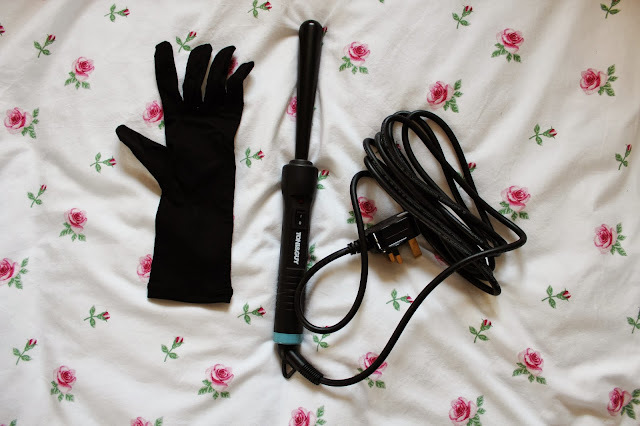 The curler heats up to 200 degrees which is plenty hot enough and it only takes a few seconds to heat up, I find that I hardly have to hold my hair on it for long at all so it really is super fast to do the whole of my hair. I do have quite thin hair after my pesky hairdresser thinned it out a lot so if you have thick hair it may take a while longer! In the box, you also get a black glove to protect your skin from burns, I never really use these but they are a good idea as 200 degrees is very hot and you could get some nasty burns! I curl my hair pretty much everyday, I really don't like my hair at the moment so I find that curling it hides the dodgy layers and makes it look so much better than having it straight! 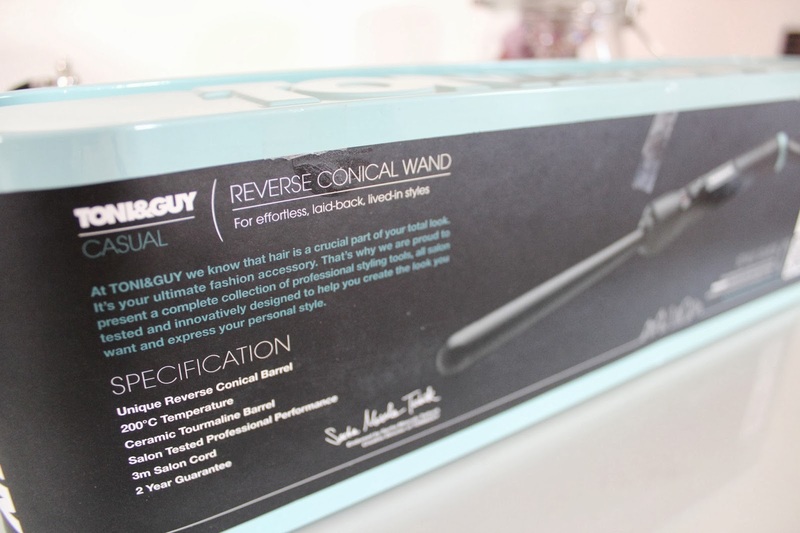 I had previously been using my straighteners to curl my hair, they are slightly square at the top so I wasn't getting a very natural curl and it was taking a lot longer to do, I find that this conical wand creates really natural looking curls in next to no time! The curls are exactly the kind that I love, not too tight and not massive curls but instead, really pretty loose waves. 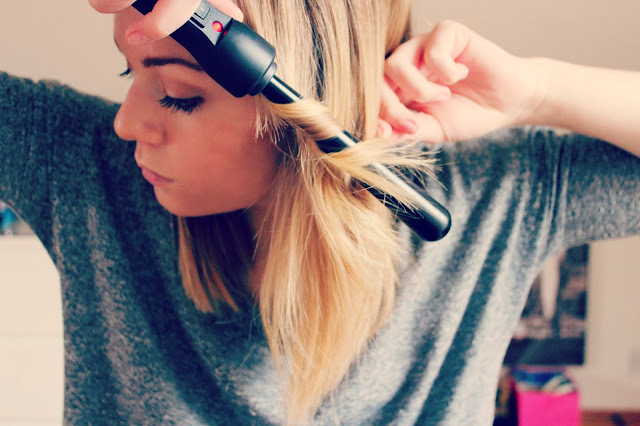 I find the best way to achieve my perfect curl is to use quite small sections of hair, I take about one inch of hair and wrap it around the wand, I hold the wand downwards so it's pointing towards the floor as I find this makes the curls sit better and look more natural. 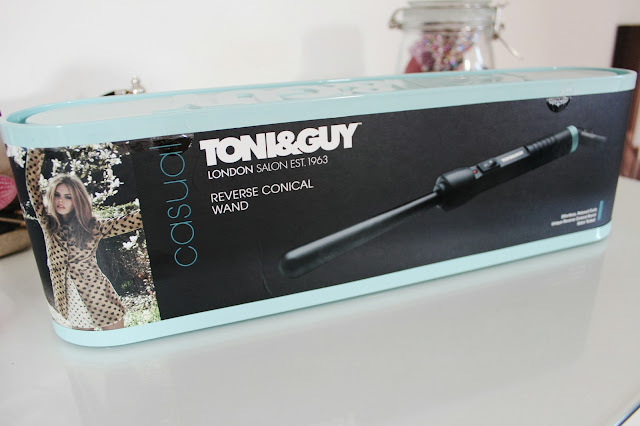 The wand retails for only £30 which I think is a really great price as they often retail for so much more! 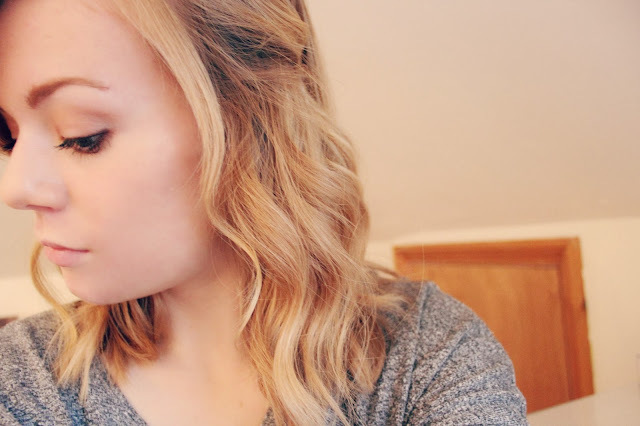 I am totally in love with the wand and I had been looking for something other than my straighteners to achieve a nicer and more natural looking curl! This looks amazing. I love Toni and Guy products too, I always find I can rely on them to do the job I want them to do. I love how your hair looks and am slightly jealous of your blonde hair...the things I would do for blonde hair. I love the messy waves!